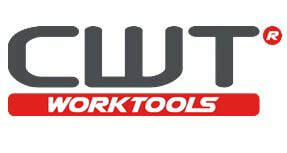 CWT Flat Bed Applicator - Recognition Systems, INC.
"The New Generation Work Table"
Allows for a wide range of materials to be laminated. With its sleek design, the Flat Bed Applicator is easy to transport and install anywhere you need. It offers many key features such as a tempered glass top, self-healing cutting mat, table top roll header and much more. The table allows for unobstructed operation with a visual overview above the roller. The work tables are easy to use and operate most of the time within one hour. With its 5ft width and 8.1ft length, the flat bed applicator gives the operator much better control and produces less waste. Listed below are the different models. 13ft. 12in. x 6ft. 9in. 13ft. 12in. x 5 ft.
11ft. 8in. x 5ft. 8in. 13ft. 12in. x 5ft. 8in. 13ft. 1in. x 6ft. 11in. 15ft. 5 in. x 6ft. 11in. 13ft. 1in. x 5ft. 3in. 15ft. 5 in. x 5ft. 3in. 15ft. 5 in. x 5ft. 11 in. 9ft. 10in. x 5ft. 3in.